Leaving the traffic of LA behind and heading out on the highway to Palm Springs is a refreshing feeling we'll never forget. The landscape of the Sonoran Desert is dry & arid, a far cry from any beach or coast line, however Palm Springs is a little oasis amoungst it all and an endless source of inspiration for us. Known as the "desert resort city" it is famous for it's plethora of poolside locations and swim clubs, not to mention that kinda popular music festival called Coachella. It's also home to some of the most amazing mid-century architect built houses some of which were once owned by old Hollywood movie stars. Yep it's kind of an amazing place! 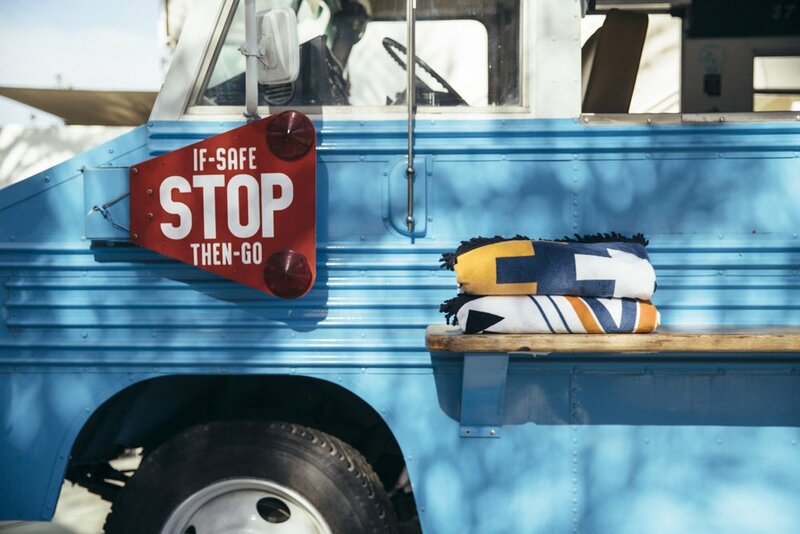 This city is the namesake of our first limited edition roundie, "The Palm Springs" a colourful towel in a tribal print. We took inspiration from the desert terrain, mid-century architecture & the crystal coloured pools; just like the one found at The Ace Hotel & swim club. So here is a look at behind the scenes of our photoshoot, shot on location at The Ace Hotel. We had so much fun shooting this, it was a sweltering hot day, the tunes were playing the palms were swaying and we got our photoshoot-on with the talented Yoon Kim. At the end of the day it was pure bliss to jump in the water and cool of with an impromptu pool splash photo session! Many thanks to everyone at The Ace Palm Springs, Yoon Kim and everyone who helped make this shoot happen! 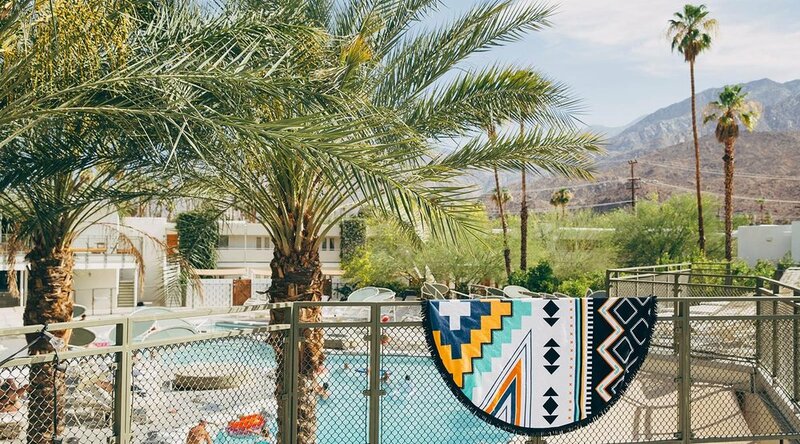 p.s Place your pre-order for this very limited edition "The Palm Springs" roundie HERE!